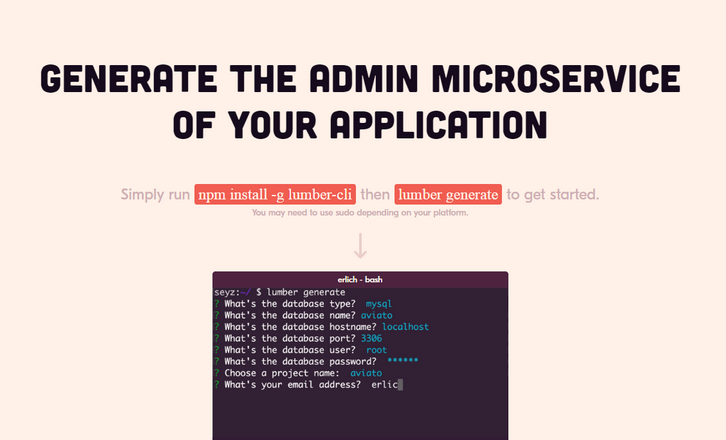 Lumber is an opensource tool to generate an admin microservice. It serves a REST API hooked directly into your database. Lumber generates a lightweight web app serving a REST API hooked directly into your database, so it works out-of-the-box for MySQL and Postgres. If you’ve already architectured your application for microservices or you’re planning to, Lumber’s admin sits nicely alongside your regular services. Want to add all kinds of snazzy features? The code is yours to play with, so hack away!